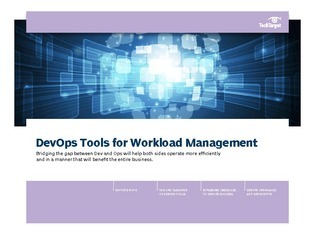 Choosing appropriate DevOps tools is as important to application performance as your underlying hardware. Understanding the changing nature of these tools is important in making the right choice, especially given the increasing importance of operations in DevOps. Access this expert handbook to examine the need for across-the-board collaboration when it comes to DevOps. You’ll also learn the differences between various DevOps tool sets. On top of this, you’ll get insight into the design phase of the application lifecycle.